Shree Ayyappa Vishnu Temple at Hari Om Nagar, Powai, is a celestial beauty depicting traditional temple architecture and culture of Kerala. We believe that devotion is nothing but surrendering of oneself at the golden feet of Supreme Power and ultimate knowledge. Our experience proves that Devotion with dedication and discipline definitely deliver dividends. 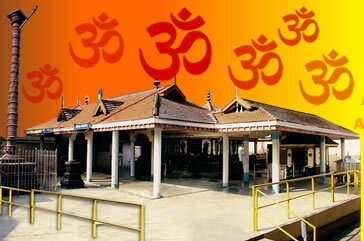 Shree Ayyappa Seva Sangham Powai, the trust that constructed Shree Ayyappa Vishnu Temple, has been a reputed socio-cultural service oriented organization propagating universal brotherhood and harmony among masses through its social, cultural, religious and devotional activities since 1983. From a humble beginning, it has blossomed in to a big organization today spreading its wings to different spheres of activity. Shree Ayyappa Vishnu Temple, has been getting wide acclaims and applauds all over Mumbai, mainly for its highly traditional rituals, poojas and various devotional endeavors. The devotees throng to this temple seeking peace and prosperity and offer poojas and donations for fulfilling their dreams. 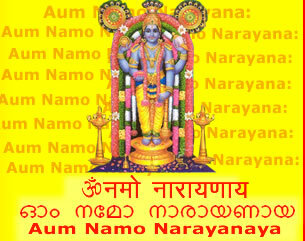 Let the deities at Powai Shree Ayyappa Vishnu Temple bless you! Click here to view upcoming events/ download event calendar as pdf file.